We talk about the need for collaboration all the time! There's no question about it's value, but we also know that it's one of the most difficult things to achieve when you enter a room of diverse viewpoints in the hopes of bringing them together in a common path. In my year at HREC I have been amazed on numerous occasions by our own Director, Dr. Kim Rodrigues, as she tackles complex subjects with many and diverse groups and manages to reach some level of agreement and action in every case! Dr. Rodrigues has agreed to share some of the tools that she has built up over years with her colleague Kim Ingram in a 3 day workshop "Collaborative Facilitation and Group Process" during which participants will explore facilitation skills and tools that can support your success during collaborative efforts, both as a facilitator and participant. Participants will identify important processes that can support collaboration, share tools to prevent problems, and demonstrate interventions to support success when problems arise. These workshops are designed to help you learn the skills needed to support the mutual learning and discussion required in any truly collaborative effort. 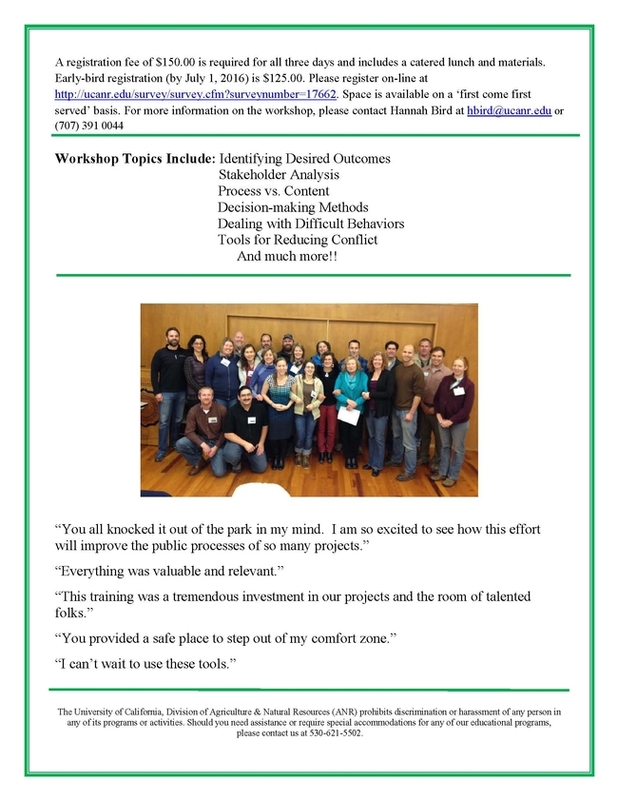 This training has been developed to serve a wide variety of stakeholders representing many different backgrounds, don't miss this chance to revitalize your collaborative efforts! 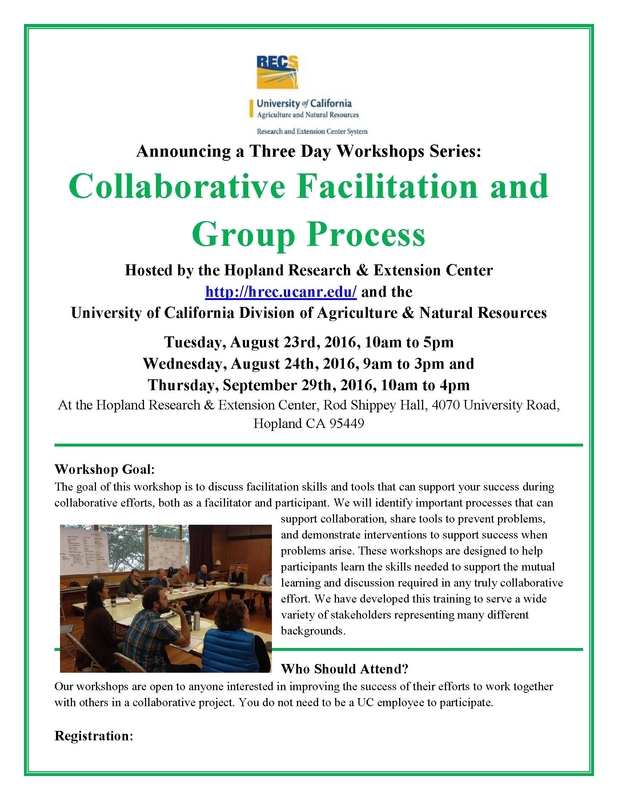 The 3 workshop days take place on August 23rd, 24th and September 29th. Take advantage of early bird registration by July 1st and pay only $125, $150 after this date.